Welcome to Haworth Physiotherapy and Sports Injury Clinic which is now owned and run by myself, David Hanson. Haworth Physio and Sports Injury Clinic will continue to strive to offer clients a first class experience in a convenient, friendly, pleasant and relaxing environment. 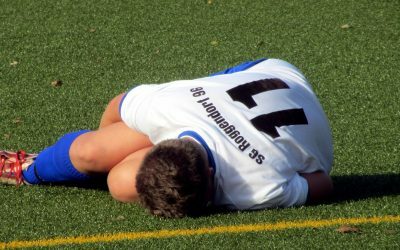 I specialise in the treatment of back and neck pain, sports and soft tissue injuries, joint problems, fractures and post-surgical problems, overuse injuries and postural problems. I am available to offer support and advice for all your musculoskeletal and fitness-related issues whether you are an elite level performer, a ‘weekend warrior’ or someone just wanting to maintain a level of fitness which will allow you to continue to enjoy life in your advancing years! I graduated from the University of Salford in 2010 as a Chartered Physiotherapist. My initial experiences were gained by working as the First Team Physio at FC Halifax Town, whilst combining these part-time duties with additional work in the Academy at Manchester City FC and the Centre of Excellence at Bradford City FC. At the same time, I also began working with the general public at Lee Martin’s Physiotherapy Clinic in Huddersfield – a role that I still continue to do. My part-time role at Bradford City quickly developed into a role as First Team Physio. I completed a couple of seasons before moving to Huddersfield Town FC where I was promoted to the role of Senior First Team Physio in 2015. My last season at Huddersfield proved to be a monumental one, with the club gaining promotion to the Premier League following a dramatic penalty shoot-out win versus Reading FC in the Play-Off Final at Wembley Stadium. You can also take a look at a PFA Promotional Video in which I featured in myself. As a Chartered Physiotherapist, I have extensive knowledge of anatomy, physiology, kinesiology and the pathology of the human body. I use these skills to provide manual therapy, electrotherapy, acupuncture and exercise to rehabilitate and relieve pain. I specialise in the treatment of back and neck pain, sports and soft tissue injuries, joint problems, overuse injuries and postural problems. 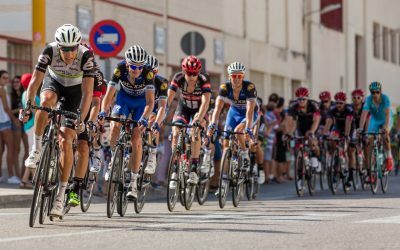 I am available to offer support and advice for all your musculoskeletal and fitness-related issues whether you are an elite performer, a ‘weekend warrior’, or someone who is just wanting to maintain a level of fitness which will allow you to continue to enjoy an active life in your advancing years. a reliable service committed to effective treatment and quality care. 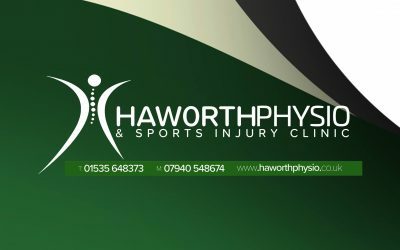 Here you will find the latest offers available at Haworth Physio & Sports Injury Clinic. Keep checking this section for new additions. Further offers will be available during the whole of 2018. All attendees at this week’s Launch Event will receive a 3-for-2 voucher which will entitle them, a family member or a friend to one free treatment session if they book 3 sessions over a 6 week period. April Reduction. As a thank you to all new and existing clients, during the entire month of April all fees will reduce by 15%. This means you’ll pay £29.75 instead of £35 for all your treatment sessions in April. Saturday morning clinic appointments are available on request. Additional treatment times may be available outside of these hours. Clinic opening times are subject to change. Please contact the clinic to book an appointment or leave details via the contact form. Keep your eyes peeled in this area for any news or further updates for Haworth Physiotherapy. You can also find out about any updates on either our Facebook, Twitter, Or Instagram. Keeping our strength: fighting the clock! Read how the use of Game Ready and some physiotherapy helped save the day. See the new testimonial from Jamie Westwood in the testimonial section of the website. New OAP rate from 1st May 2018 All clients receiving the State Pension qualify for a reduced rate of £30.00 per treatment session. Dave was my physio at both Bradford City and Huddersfield Town and has been a great help to me in my career as a professional footballer. At Bradford City, Dave’s skills as a physio helped me to return to full fitness much earlier than expected following surgery on my ankle. He helped me to stay motivated and worked me hard both in the gym and out on the grass. 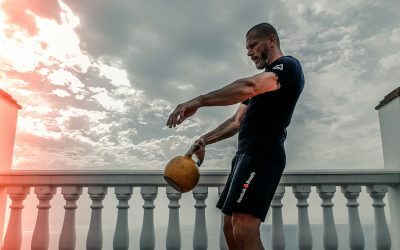 As a former professional footballer himself, his knowledge of the game and his ability to create challenging but enjoyable rehab sessions was a real strong point. Last season (2016 – 2017) Huddersfield Town won promotion to the Premier League – an unbelievable achievement for the club. The players and staff spurred on by an incredible support, all played their part in the fairytale ending at Wembley Stadium in May. The physio department, comprising of Dave and Ian Kirkpatrick, worked tirelessly all season to ensure all the first team squad were prepared for every training session and every game. Dave was a dedicated and very popular member of the backroom staff at both Bradford and Huddersfield and, although we have both moved on to pastures new, remains a friend (and occasional golfing buddy!). I would recommend him as a physio to both keen sportsmen and sportswomen as well as to the general public. David was recommended by a work colleague and I am so pleased that we found him! My daughter Alice was in need of support with physiotherapy after becoming seriously ill with food poisoning that left her with weakness and complete loss of feeling down the whole left-hand side of her body. The physiotherapy provided by her neurology team was unsuitable; it was too generic and didn’t meet her needs. David developed a personal, targeted and manageable programme for Alice that enabled her to work on strengthening and maintaining her muscles whilst she had no feeling in them. However, as important as these exercises were in helping her recover the ability to walk and grip, the help David gave her to believe that she would recover is an integral part of the service provided by him. It has been almost a year to the day that Alice fell ill (November 2016) and she is now walking independently and is back at work. I would not hesitate in wholeheartedly recommending David to anyone in need of physiotherapy. I have known Dave for 5 years. I suffer from osteoarthritis and more recently have been diagnosed with rheumatoid arthritis. Both of my knees have been replaced and Dave worked with me before the operations to relieve pain, strengthen my knees and maintain movement. Post-operation Dave helped me to manage my pain, and to regain strength mobility and function. His skills and knowledge have contributed to a great recovery. His combination of techniques, exercise, mobilisation and his use of electrotherapy to manage my pain have all helped to improve my quality of life. I run and coach busy community badminton clubs and coaching sessions for adults and juniors in Kirklees and Wakefield. As such, I need to be at my best both physically and mentally. David Hanson has been both my physio and masseuse for the past 4 years. During that time I have had injuries to my shoulder, back and knees. My shoulder, in particular, was quite bad however David’s treatment regime of around 3 months has now allowed me to use it to its maximum capacity without having surgery. His full body sports massage is just an extension of his excellent professional care and delivery. I continue to see him and highly recommend David to everyone. I went to Dave with a back problem, which had left me bent double and unable to walk/shuffle unaided. Following a single session, I was walking relatively normally; the transformation was a huge relief and I actually went for a walk after the therapy. The provided exercises cleared the issue completely. 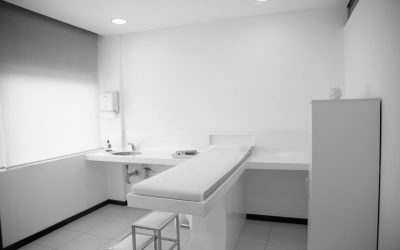 I particularly respected the attitude of ‘I think we have solved the problem’ rather than let’s make another unnecessary appointment, which in my experience seems to be the tactic of some in the profession. During my training for the European Acrobatic Championships in Poland, I had to call upon Dave’s expert skills and advice. He was able to relieve stiffness in my back and also assist taping my ankle. This ensured that I was able to continue my preparations leading up to the competition where my partner and I achieved a gold medal. 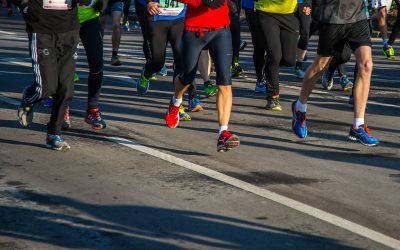 On Monday 12th March I thought my goal of completing the Virgin London Marathon 2018 had ended. After falling and seriously damaging ankle ligaments that night, my call to the BUPA triage team on Tuesday 13th March led me to believe I would be lucky to make the start line (6 weeks later). Unperturbed I contacted Dave Hanson for advice, who treated me immediately within 24 hours and most importantly with a ‘can do’ positivity that lifted my spirits of still being able to run the Marathon. Miraculously, I was running again following further treatment and rehab within 10 days of the injury. This included specialist treatment via the Game Ready ‘boot’ which swiftly reduced inflammation in the ankle joint. This physical turnaround truly would not have been possible without Dave Hanson’s input, energy and determination to help me achieve my goal. In particular, Dave went out of his way to assist and deliver treatment via a home visit on a weekend when most physios are typically unavailable and despite travelling during the worst snowfall we have had in many years. I would highly recommend Dave Hanson for physio advice, treatment and going the ‘extra mile’ in delivering individual personalised treatment. Thankfully I did complete the Marathon on 22nd April and again wish to pass on my gratitude to Dave Hanson of Haworth Physio & Sports Injury Clinic for his assistance in getting me ‘Marathon Run Ready’. If you would like to find out any more information about Haworth Physio, or you would like any advice or to book an appointment. Feel free to fill out the contact form provided and we will contact you back as soon as possible. Alternatively, we have provided all of our details for you to contact us on.